Fracture and Neptune has been supplying us with great music for a decade now so its with great joy that we finally get to lay our ears on some sonic goodness courtesy of Loopmasters. 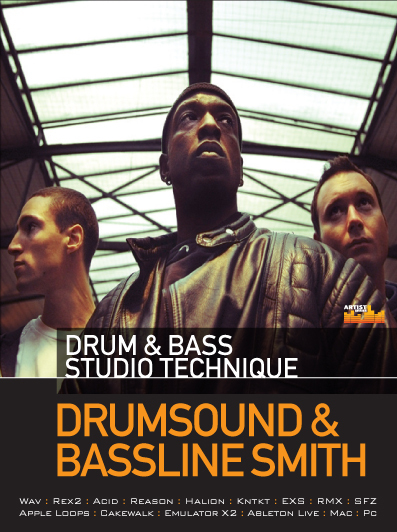 Cosmic Drum and Bass is fantastic sample cd and drum and bass producers shouldn’t have a hard time finding some quality sounds to add to their library to use in their own productions. 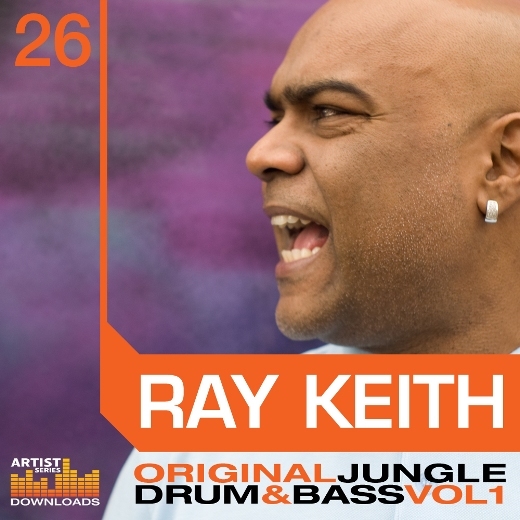 Layered Bass10 kits from 170 bpm to 174 in various keys from c-Ggreat collection of samples. you get 3/4 samples. Top, Sub and Mixed. This way you chop and change them up as you wish. The sounds them selves sound warm, dirty have plenty of motion in them. My fav of the bunch has to the tearing Fm- Scotchbonnet! The tops do have FX on them but don’t let that stop you from going crazy with more effects.If you’re into Neuro or artists like Ulterior Motive, Alix Perez or Octane and DLR then this pack is perfect for you. Another good thing about having them seperated is you can then go in on them and reverse engineer them and see how they were put together which is awesome. Single Layer Bass12 samples of single layer bass from 170-172bpm. Keys from C-Am. Dj Fracture has taken the time I must say to accurate go through all the samples and give us the BPM and the key signature. The samples here continue with the same quality. You get a nice collection of moving distorted dirty loops that are warm and have plenty of bite and interest. You won’t have a hard time finding something substantial to get vibing off. 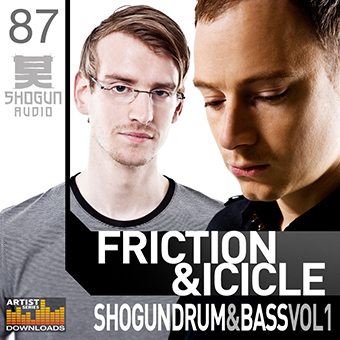 20 drum loops with several variations of a couple of loops with tails/FX. You get the full mix of the drum loops and all the seperate elements as well. You get a nice mix of drum loops here as well. Steppy minimal dnb vibes is the order of the day but a few nice rollers in there to keep the kids happy. Once again the breaks are warm and have plenty of character to them with interesting sounds thrown into the mix like sweep effects and perc. All the elements have a decent amount of eq applied and thankfully haven’t been overcompressed or limited. 12 full construction kits for you to do as you please. You get drums, Bass, synths, Perc etc, oh and a full mix file as well so you can preview the kit. Some of these construction kits with a bit of work could have been released the quality is that good. So I must hand it to DJ Fracture for coming up and delivering the goods! Lexicon and Cookies is definitely the stand out construction kits. QUALITY. The music loops folder consists of 4 folders. Guitars, Pads, Rhodes and Synths. Each folder has about 12 samples inside. The samples are interesting music loops ranging from FX sounding loops, weird/dark chord progressions or Arps and Atmospheres. They sound great. Have loads of character and are very usuable. 20 Bass sounds that you can bung into the sampler and go crazy with. Most have a bit of motion to them and are well EQ’d and overdriven just perfectly. You get the standard Hoover,808, Wobble bass and more so finding something that works shouldn’t be a problem. 20 kicks from boomy to clicky. Analog to synthetic. There is a few gems in there that i’ve added to my owen personal collection. A great collection of 20 single hit hats. Some real sounding hats to more synthetic hats. 21 really nice sounding snares. You get a nice mix of punchy snares to the more toppy minimal snares that people are using today. Some of the snares do have a bit of reverb but nothing too crazy. I love FX and Atmos samples because they can really set or give your track a vibe and the collection of samples here do just that. If you’re after a darker vibe or a making a moodier number then there is some gems to get you going here. The 40 samples here might not be to everyone’s taste but you should be able to find a good sample or five. 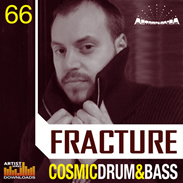 The Dj Fracture Sample pack is quality all the way and gets my thumbs up! The ONLY dissapointing thing to me was if you were expecting more drum funk break samples you would be very dissapointed. On saying that though you could indeed make them yourself with the quality of breaks you get so its a small gripe.All the other samples are Fracture through and through and thats a testimony to Fracture and his music. I don’t know whats going on over at Loopmasters but the quality of sample packs just continues to amaze me! Total Science blew my mind and the BHK packs always deliver but this pack from DJ Fracture is a real jem. I have personally learned a lot from this pack by reverse engineering some stuff and taking apart the construction kits so have NO PROBLEMS recommending this to anybody serious about making drum and bass.